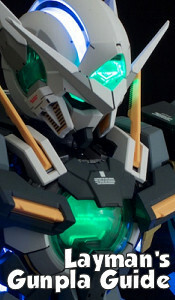 Episode 05, "The Demon Boy"
Episode 04, "The White Wolf"
Synopsis: Mobile suit ace Woolf Enneacle awakens on the Diva and is assigned as the head of mobile suit forces on the crew. He desires to pilot Flit's Gundam, but Flit objects. The two decide to have a duel contest to see who's a more fit pilot. The two are attacked by the UE and team up to escape. The UE's cloaking technology leads Grodek Aiona to the knowledge of who they really are. Episode 03, "The Twisted Colony"
I know this is probably old by now, but... BRIGHT NOA, EFF YEAH. Episode 02 , "The Power of AGE "
Reasoning: Ikeda clearly does the most arresting, charismatic-sounding Char, a Char that fits every facet of his complex personality. Michael Kopsa is my favorite English dub Char, sounding noticably serious and determined, but with a touch of charm. Blum makes him sound a little too laid back and his delivery is way off in that particular dub and Edwards just sounds generic and has a wooden delivery. This isn't just some guy, it's Char Aznable! Well, at least Edwards is one of the more tolerable cast members of that terrible Zeta Gundam dub.